Dr Nicole Mockler is a Lecturer in the Faculty of Education and Social Work at the University of Sydney. Her research interests include teacher professional learning and identity and the politics of education, and she teaches in the areas of curriculum, pedagogy and professional practice and research methods. 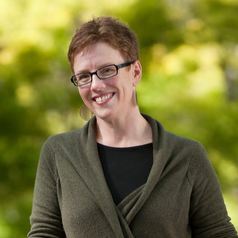 Her published work includes Engaging with Student Voice in Research, Education & Community: Beyond Legitimation & Guardianship (Springer, 2015), Facilitating Practitioner Research: Developing Transformational Partnerships (Routledge, 2012), Rethinking Educational Practice through Reflexive Inquiry (Springer, 2011), Teacher Professional Learning in an Age of Compliance: Mind the Gap (Springer, 2009) and Learning in the Middle Years: More Than a Transition (Cengage, 2007).